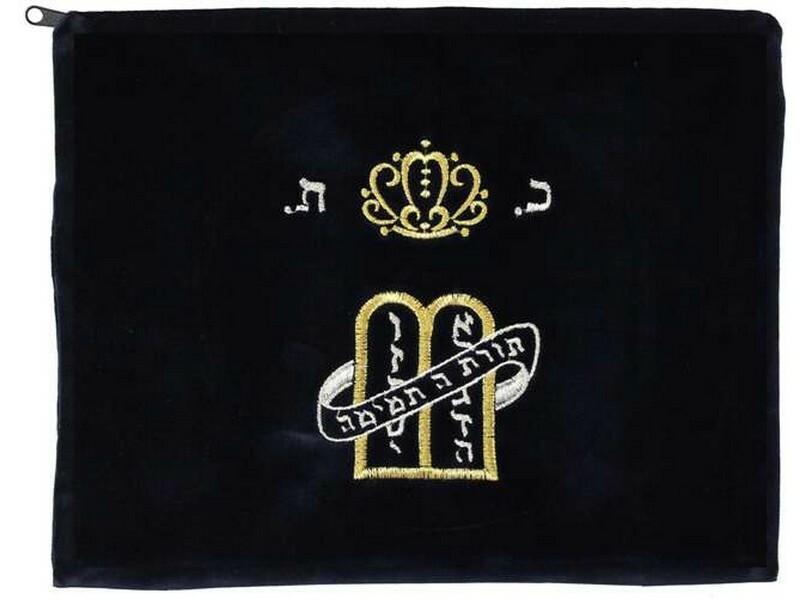 This velvet tallis/tefillin bag is available in navy or royal blue. It is embroidered with one of the all-time classic designs. The center of the bag boasts the Tablet of Stone, the Luchot Habrit, with the first ten Hebrew alphabet corresponding to the Ten Commandments. Across the Tablet of Stone is the Hebrew verse, in banner style, “Torat Hashem temimah”, The Torah of Hashem is perfect. Above the Tablet of Stone there is a crown with the Hebrew initials of “Keter Torah”, the Crown of Torah. This is the perfect bag that displays ones dedication for Torah and its study.